(Courtesy, Navy Art Collection, Washington DC. Type and Characteristics - Patrol gunboat, 4th rate, Gunboat No.2, later PG-2, built by Columbia Iron Works and Dry Dock Co, Baltimore, MD, laid down 27 August 1887, launched 13 October 1888, commissioned 10 December 1889, 867 tons, 188ft long x 31ft beam x 11ft 6in draft, 11kts, armed with 4-4in/2-3pdr (Conway's - 4in replaced the original 6in), 138 crew, first commanded by Lt Cdr W. H. Bronson. Log Period and Areas of Service - 1889-1920, North Atlantic Squadron, Asiatic Squadron, Alaskan waters, 1898 Battle of Manila, Philippines, European waters, Caribbean and West Indies. 10 December 1889 – Tour of duty on the North Atlantic Station. 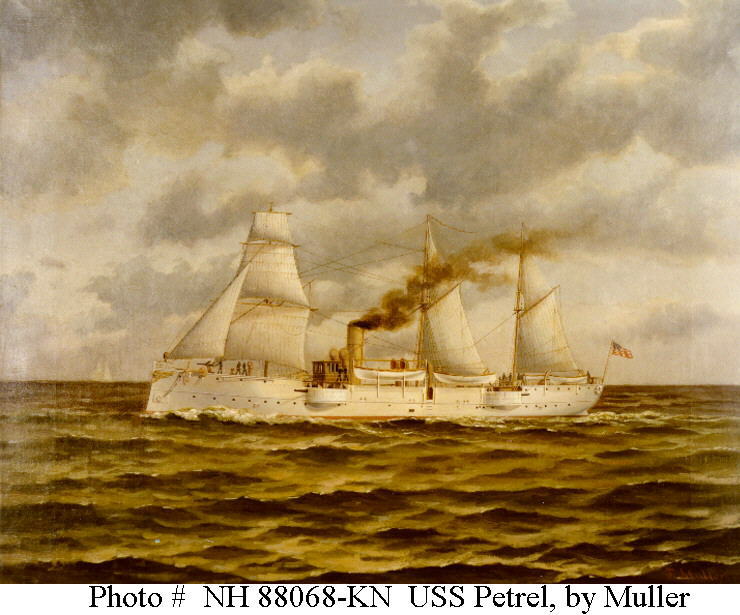 September 1891 – Tour of duty on the Asiatic Station. May 1894 – Reported to the Bering Sea patrol. August1894 – Returned to the Asiatic Station. 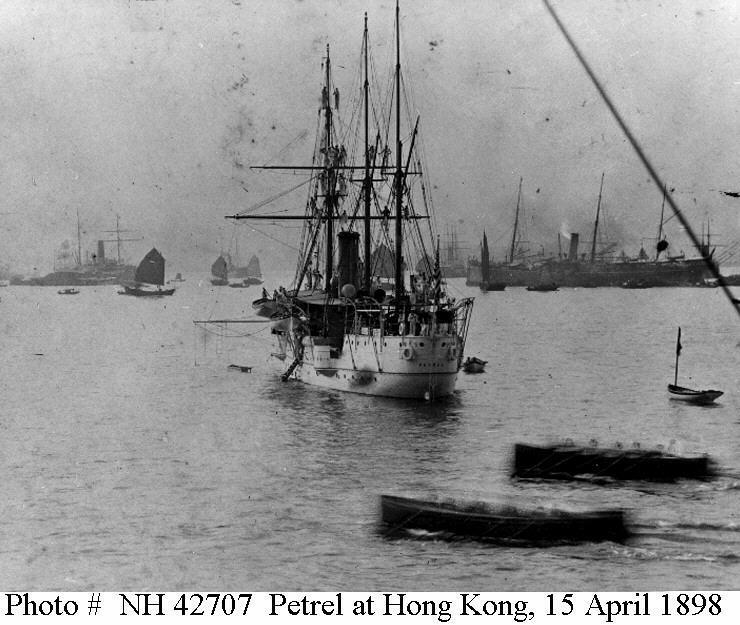 April 1898 – Joined Dewey’s fleet in the campaign against Manila. 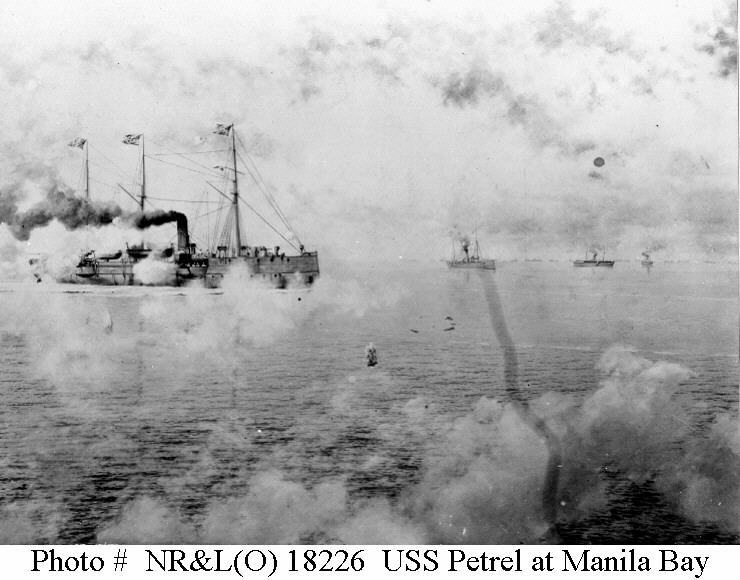 1899 – Decommissioned at Cavite after the war. 9 May 1910 – Re-commissioned, visited European waters. 1911 – Returned to the Atlantic coast. 1912 – Sent to Mexican and West Indian waters. 1916 – Became station ship at Guantanamo, Cuba. 1917 – Served with the American Patrol Detachment at Boston. Fate - Decommissioned at New Orleans July 1919, struck from Naval Register April 1920, sold to New York company November 1920.